Wellllllll.... we were looking forward to putting up a good fight with the fancy new BRZ crafted by Derik Nelson, but it just wasn't in the cards for us. 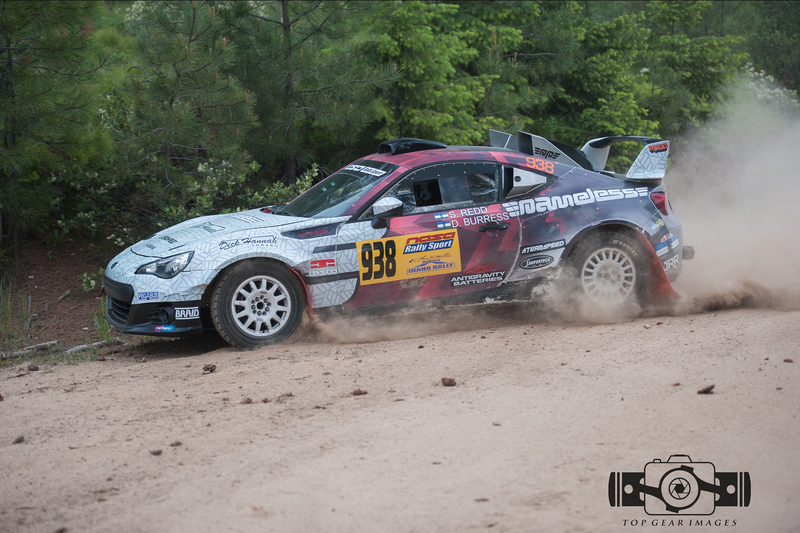 The Nameless BRZ was looking forward to the smooth roads and wide open fast stages of Idaho, as well. However, when we got there, we recce'd the twistiest and possibly bumpiest stages I've ever seen. It was an interesting stage, but Steven's specialty is high-speed stages and we weren't having a ton of fun on the slow stuff. To make matters worse, the car was struggling with some mechanical issues. Eventually, the rear axle disconnected from the diff and we were running one-wheel drive for about half a stage. We decided to crawl through our last stage and head back to service. It was pretty fun to take the spectator exit from the stage and freak out all the volunteers. We made it back to service on one-wheel drive without much drama because the BRZ is a beast. Upon teardown, we found the subframe mounting points were pretty much trashed, so we called it a weekend. At least I made my flight on time!